I still clearly remember the first time I stepped onto a surfboard. 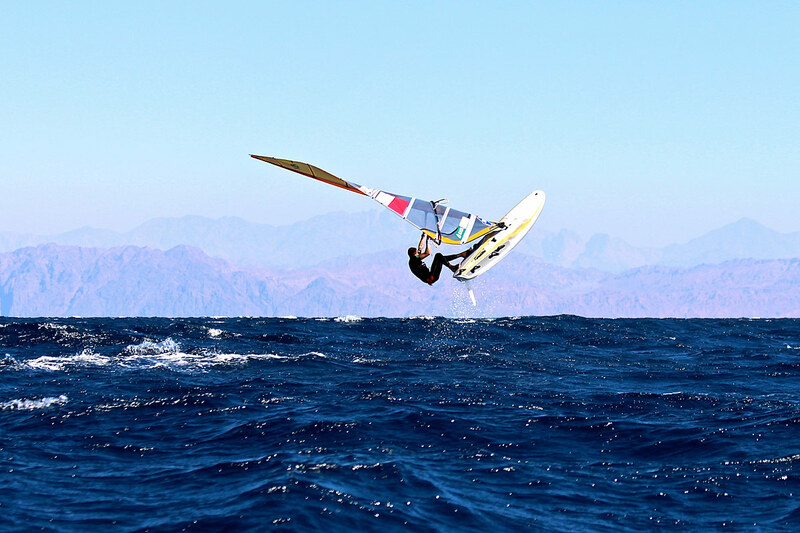 At that time all I knew about windsurfing was that you had to hold on to the sail to move forwards. But I was determined to try it out, so without a second thought, I just hopped on the board and hauled the sail out of the water. Much to everyone’s surprise, that first attempt proved successful. I sailed out to sea and enjoyed it so much I did not even think of stopping, let alone coming back to the shore! When the excitement subsided, though, I realised it was time to return. At that moment things got complicated. I had no idea how to manoeuvre the sail to return to the shore. I came up with what seemed like a great plan at the time. I jumped into the water and pointed the bow of the board towards the beach, hoping this would be enough to make it back safely to the shore. The board was super heavy, but I handled it somehow: after all I had done some swimming practice before. However, sailing back to the shore was a total disaster. Even though I was standing on the board and sailing towards the shore, I moved in a completely different direction than before. I went out of my way to control the sail, but to no effect. What started as fun ended in tears. When I eventually got back to the shore, I had to walk with all the surfing gear along the beach to get to the take-off spot. It was a gruelling experience. I was a small kid, and I sailed out to sea without really knowing how to get back. 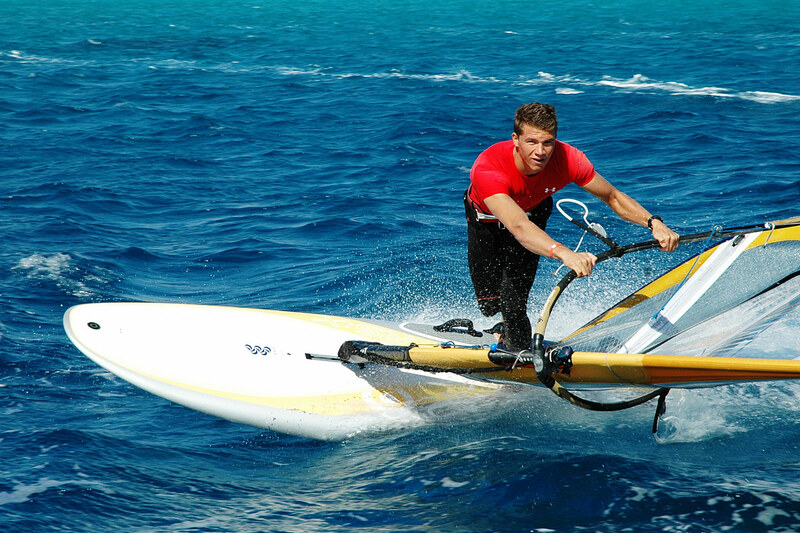 Only later did I learn what the daggerboard was for, and how to control the sail to use the strength of the wind rather than fight it, in order to go wherever I want. 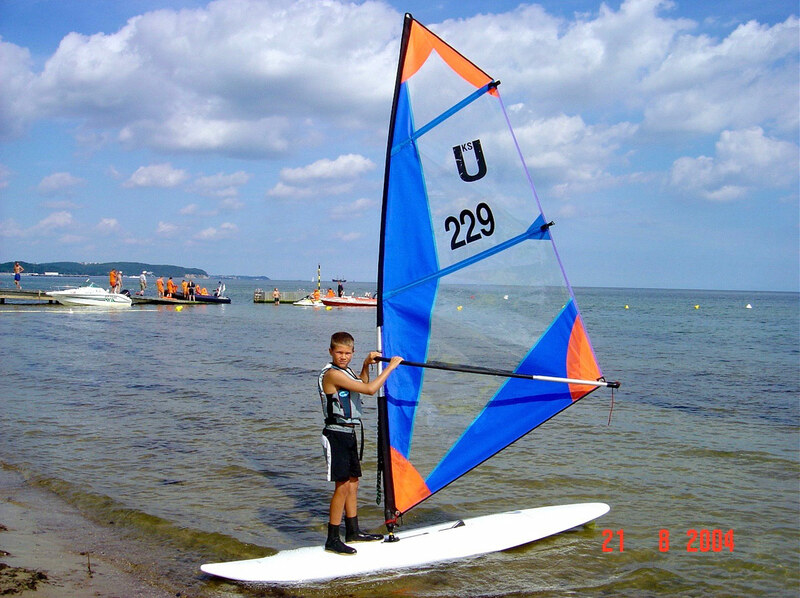 But the moment the board was skimming across the waves as I pulled on the sail that first time has stuck in my memory. I enjoyed it so much that I have continued doing it for ten years now, and I still don’t even think of stopping, let alone coming back! Quite the opposite. I want to go farther, faster, and have even more fun while doing so. 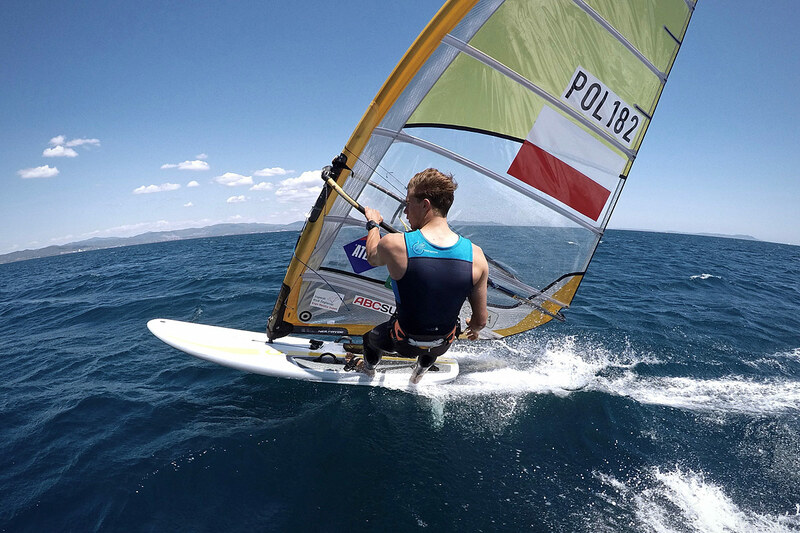 The sense of freedom and speed, experiencing the element, pushing boundaries, being close to nature… this is what I enjoy the most, and this is what I get from windsurfing which is an important part of my life. It requires constant travel, practice and competition. It isn’t always easy. It means working all the time to improve yourself and master your skills, watching the water and the wind, fighting your weaknesses, and striving to be even better. This is my call. If you have experienced it, too, you will know what I am talking about here, and if you do not really know what I mean, I encourage you to continue your search. If you haven’t yet discovered it for yourselves… keep looking for it and you won’t regret it!